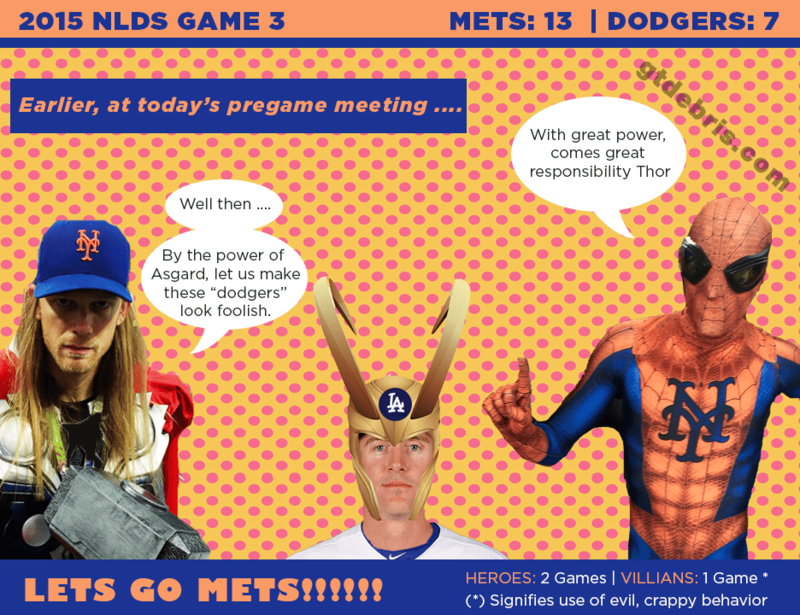 GTDEBRIS » debris » NLDS Game 4: Mets Superheroes Plan to annihilate the Mischievous Dodgers in Tonight’s Showdown. While the Mets are still one game away from advancing in the 2015 playoff season due to the tactics of the super villain Chase “Loki” Utley, our New York Heroes will most likely be very angry and ready for revenge in tonight’s showdown. And Los Angeles, you wouldn’t like us when we New Yorkers are angry! Get an Insider’s Look at Last Night’s NLDS Game 3 Pregame Meeting Below.